Lunarpages is a well-known American company with a full range of hosting services. They have more than 150,000 customers around the world, although for the US market, these are relatively low numbers. The website of this hosting company is pretty simple, but the information is provided isn't particularly clear. Most webmasters will get it, but not all. It's important to note as well that they accept payment via the Webmoney system. American providers rarely offer this payment option. 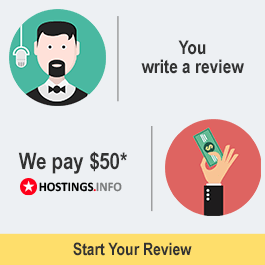 Hoster provides a 30-day money back guarantee. 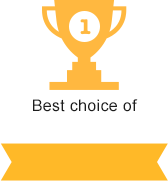 We liked the process of buying the hosting services. Just a few information fields, and then you are registered. Should be easy and straightforward for anyone. There are a lot of payment options in order to attract users from different countries - this is unusual for the U.S. market. Lunarpages uses a standard cPanel - one of the most popular panels in the world. Practically perfect support with LiveChat, but twice we had to wait a long time for answers to our questions, so we reduced the score slightly. Lunarpages - great option for many webmasters, including those wanting to pay using Webmoney. Also able to host and support large and complex websites. What is written about in reviews of Lunarpages.com most often? I liked the technical support - (if you understand English at least a little bit they can explain just about everything using simple words) - and it's good that they have a large number of options. The database is disconnected a lot, payment through WebMoney is cancelled, and the provider offers Yandex money, I had to pay with a credit card. Tech support offers polite autoresponses when they aren't available. The speed is slower than any German hosting. There was a problem right away during the registration - the discount voucher didn't work (They may have updated the page, look carefully at the amount when confirming registration). I had to contact the support. I communicated using google translate, there were no problems with understanding each other. I don't see any sense in paying $2 more for cPanel, everything works fine with the standard panel. The price is 4.95 when paid for 2 years!! Before registering, search on the Internet for a discount voucher, they are available for different amounts and plans, save up to 50%! I can't rate the speed, unfortunately, I don't have anything to compare it with - it's my first hosting company. The hosting is good, I liked the payment option to use webmoney, somehow I'm not very good with credit cards.